Friendliest park! 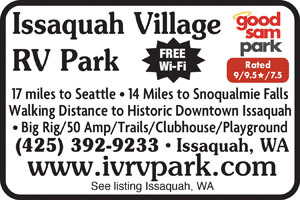 Issaquah Village RV is just 17 miles from Seattle but a world apart in Issaquah - with walking & bike paths, historic downtown, abundant dining, boutique & big-store shopping & outdoor destinations galore. Very nice staff. Small park with a large number of residents in towables. Right next I-90 but a screwy intersection exit to get here. Traffic noise during the day is constant. Very good cable TV and WiFi. Clean bathroom/showers and very nice laundry facilities. "Dog park" is ditch along street outside of RV park. One exit away from mall type shopping and restaurants. The park was nice, clean and some asphalt pull-thrus.Very Courteous staff which was helpful. Quite crowded, small private areas for each spot. Close to interstate, can hear traffic. Was easy to find. Would stay there again. Did think the prices were alittle high. We did have to move for an additional stay, that spot did not have grass at all and no private area to be outside. Disappointed in that. 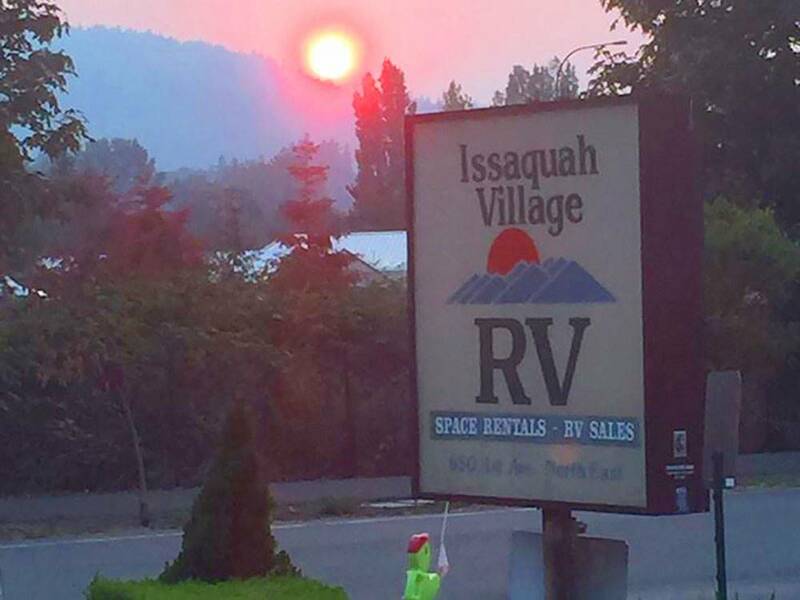 The campground is located next to the Issaquah city maintenance facility alongside Interstate 90. There is abundant shopping within a mile or two of the campground but the traffic in the area is terrible. The campground has a few transient sites but the majority seem to be long term residents. Our site was gravel and reasonably level but due to the campground location on a hill, some have considerable slope. The bathrooms have one shower and one toilet each (men & women). There is a small playground for young children. At the time we were there, road construction was underway nearby which added to the traffic congestion and blocked pedestrian walkways. Only stay here if you are desperate! Water hook up is in the ground, then once you put the hose on you must reach Under the hose to turn it on. Our site was so small we had to park our car in a parking place. Campground is beside the interstate and had heavy traffic all night. Site was dirty. You must take your pet outside of the park to go to the bathroom. Mediocre RV park. I would not want to stay more than a couple of nights there. Cramped spaces and the park itself is difficult to get to. This park is just outside of Seattle. The park was just OK. It sets next to the freeway but it is convenient to Seattle. $55.00, I guess they get that for their location not their facility. Nice RV park with super friendly management. Have stayed here before and will again. Only thing that keeps me from giving more 5 star ratings is the closeness of the various sites. Not very private, and not much room. But if you are just passing thru and need a nice place to spend a night or two, it's really good.